Expanding its assortment of the most fashionable European drink trend, beer-based cocktails, New Products Group presents WILD LEMON – a new name in the WHY NOT™ line of naturally fermented craft beverages. Made with a unique recipe based on natural lemon and lime juice, German hops, and special yeast, WILD LEMON has a refreshing and energizing effect. The filtration process softens and balances the multicomponent taste of the drink, and thanks to special processing, WHY NOT™ cocktails also don’t have a heavy beer aftertaste. “Beer-based cocktails remain the most popular European bar trend of recent years, and New Products Group is working on new developments in this direction with great interest. We are pleased that we can offer the Ukrainian consumer a unique opportunity to join a fashionable European trend in the form of ready-made cocktails. There’s nothing more to be invented and experimented on because the specialists of our laboratory have already figured out how to create a perfectly balanced combination of ingredients. 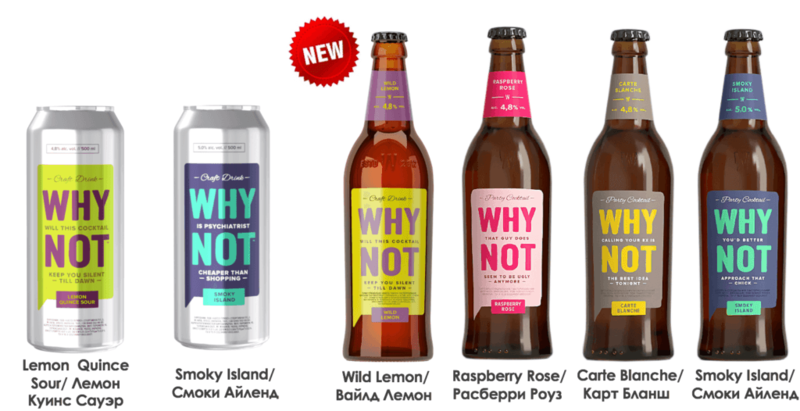 We hope that the new WILD LEMON from the WHY NOT™ line will quickly gain popularity among the connoisseurs of beer cocktails”, – comments Boris Tkachev, the Strategy and Research Director of New Products Group. WHY NOT™, launched on the market in 2017, is a brand for the young and vibrant, for innovators who want to try new original tastes and are looking for something new among natural products, for those who love fun-packed gatherings and adventures. “Much of what we will reminisce about in our old age began with the phrase “Why not?” and a sip of light alcohol,” is what WHY NOT is telling them. The light and refreshing WILD LEMON invites you to search for adventure. Why not? 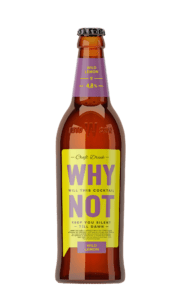 The first batch of WHY NOT™ WILD LEMON was produced at the end of last year and has appeared in national supermarket chains in January 2019.